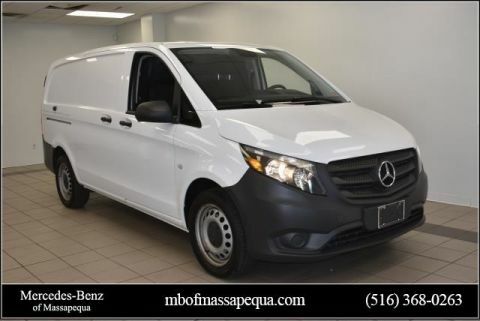 Mercedes Benz of Massapequa is excited to offer this 2017 Mercedes-Benz Metris Cargo Van. This Mercedes-Benz includes: REAR COMPARTMENT LED LIGHT STRIP REAR VIEW CAMERA Back-Up Camera CARGO PARTITION ECO STOP/START PACKAGE 2 ADDITIONAL MASTER KEYS CRUISE CONTROL Cruise Control HEATED & ELECTRICALLY ADJUSTABLE EXTERIOR MIRRORS Power Mirror(s) Heated Mirrors DRIVER SIDE SLIDING DOOR Fourth Passenger Door *Note - For third party subscriptions or services, please contact the dealer for more information. * This 2017 Mercedes-Benz Metris Cargo Van comes with a CARFAX Buyback Guarantee, which means you can buy with certainty. Get more for your money with this well appointed vehicle, including a factory warranty. You've found the one you've been looking for. Your dream car. Payments based on maximum finance term available and Tier 1 credit approval. 20% Cash or trade down. Tax,DMV additional.Mercedes Benz of Massapequa is excited to offer this 2017 Mercedes-Benz Metris Cargo Van. This Mercedes-Benz includes: REAR COMPARTMENT LED LIGHT STRIP REAR VIEW CAMERA Back-Up Camera CARGO PARTITION ECO STOP/START PACKAGE 2 ADDITIONAL MASTER KEYS CRUISE CONTROL Cruise Control HEATED & ELECTRICALLY ADJUSTABLE EXTERIOR MIRRORS Power Mirror(s) Heated Mirrors DRIVER SIDE SLIDING DOOR Fourth Passenger Door *Note - For third party subscriptions or services, please contact the dealer for more information. 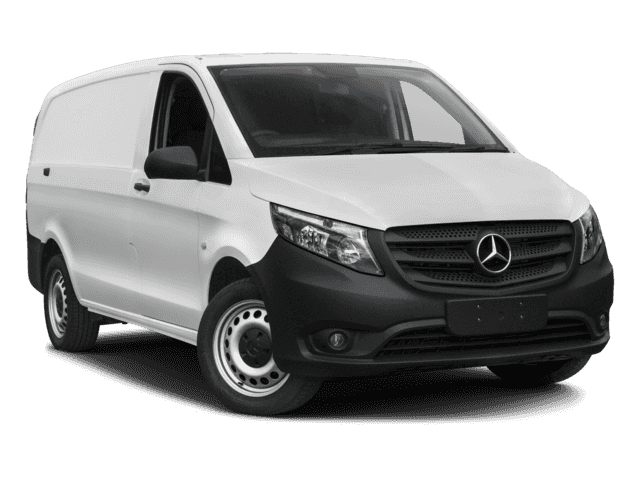 * This 2017 Mercedes-Benz Metris Cargo Van comes with a CARFAX Buyback Guarantee, which means you can buy with certainty. Get more for your money with this well appointed vehicle, including a factory warranty. You've found the one you've been looking for. Your dream car. Payments based on maximum finance term available and Tier 1 credit approval. 20% Cash or trade down. Tax,DMV additional. Looking for a clean, well-cared for 2019 Mercedes-Benz CLA? This is it. This Mercedes-Benz includes: REAR SPOILER (PIO) Rear Spoiler PANORAMA SUNROOF Panoramic Roof Generic Sun/Moonroof Sun/Moonroof Dual Moonroof WHEELS: 18 5-SPOKE ALLOY Tires - Front Performance Aluminum Wheels Tires - Rear Performance CONVENIENCE PACKAGE Auto-Dimming Rearview Mirror Universal Garage Door Opener SMARTPHONE INTEGRATION Smart Device Integration PREMIUM PACKAGE Keyless Start HD Radio Hands-Free Liftgate Heated Front Seat(s) Satellite Radio Power Door Locks Keyless Entry Blind Spot Monitor Remote Trunk Release *Note - For third party subscriptions or services, please contact the dealer for more information. * Drive home in your new pre-owned vehicle with the knowledge you're fully backed by the CARFAX Buyback Guarantee. Navigate through all the icky weather with ease in this AWD-equipped Mercedes-Benz CLA, and even get non-stop traction for your non-stop lifestyle! In addition to the amazing traction control, you may even qualify for an insurance reduction with this AWD vehicle. Feel pleased in your decision to buy this Mercedes-Benz CLA as it's still covered under the manufacturer's warranty. Payments based on maximum finance term available and Tier 1 credit approval. 20% Cash or trade down. 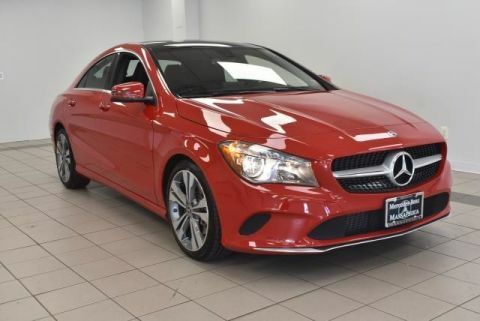 Tax,DMV additional.Looking for a clean, well-cared for 2019 Mercedes-Benz CLA? This is it. This Mercedes-Benz includes: REAR SPOILER (PIO) Rear Spoiler PANORAMA SUNROOF Panoramic Roof Generic Sun/Moonroof Sun/Moonroof Dual Moonroof WHEELS: 18 5-SPOKE ALLOY Tires - Front Performance Aluminum Wheels Tires - Rear Performance CONVENIENCE PACKAGE Auto-Dimming Rearview Mirror Universal Garage Door Opener SMARTPHONE INTEGRATION Smart Device Integration PREMIUM PACKAGE Keyless Start HD Radio Hands-Free Liftgate Heated Front Seat(s) Satellite Radio Power Door Locks Keyless Entry Blind Spot Monitor Remote Trunk Release *Note - For third party subscriptions or services, please contact the dealer for more information. * Drive home in your new pre-owned vehicle with the knowledge you're fully backed by the CARFAX Buyback Guarantee. Navigate through all the icky weather with ease in this AWD-equipped Mercedes-Benz CLA, and even get non-stop traction for your non-stop lifestyle! In addition to the amazing traction control, you may even qualify for an insurance reduction with this AWD vehicle. Feel pleased in your decision to buy this Mercedes-Benz CLA as it's still covered under the manufacturer's warranty. Payments based on maximum finance term available and Tier 1 credit approval. 20% Cash or trade down. Tax,DMV additional. 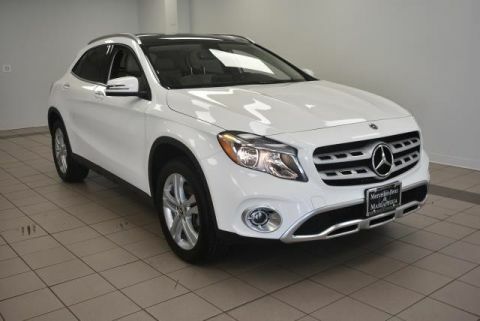 Contact Mercedes Benz of Massapequa today for information on dozens of vehicles like this 2019 Mercedes-Benz GLA GLA 250. This Mercedes-Benz includes: PREMIUM PACKAGE Keyless Start HD Radio Hands-Free Liftgate Heated Front Seat(s) Satellite Radio Power Door Locks Keyless Entry Blind Spot Monitor Remote Trunk Release SMARTPHONE INTEGRATION Smart Device Integration CONVENIENCE PACKAGE Auto-Dimming Rearview Mirror Universal Garage Door Opener PANORAMA SUNROOF Generic Sun/Moonroof Sun/Moonroof Dual Moonroof *Note - For third party subscriptions or services, please contact the dealer for more information. * How to protect your purchase? CARFAX BuyBack Guarantee got you covered. Do so much more with one vehicle. This Mercedes-Benz GLA gives you everything you need an automobile to be. Outstanding fuel economy and sleek styling are two great reasons to consider this Mercedes-Benz GLA. Enjoy the grip and control of AWD performance in this nicely equipped Mercedes-Benz GLA. An extra bonus with this Mercedes-Benz GLA: it's still covered by the manufacturer's warranty. Payments based on maximum finance term available and Tier 1 credit approval. 20% Cash or trade down. Tax,DMV additional.Contact Mercedes Benz of Massapequa today for information on dozens of vehicles like this 2019 Mercedes-Benz GLA GLA 250. This Mercedes-Benz includes: PREMIUM PACKAGE Keyless Start HD Radio Hands-Free Liftgate Heated Front Seat(s) Satellite Radio Power Door Locks Keyless Entry Blind Spot Monitor Remote Trunk Release SMARTPHONE INTEGRATION Smart Device Integration CONVENIENCE PACKAGE Auto-Dimming Rearview Mirror Universal Garage Door Opener PANORAMA SUNROOF Generic Sun/Moonroof Sun/Moonroof Dual Moonroof *Note - For third party subscriptions or services, please contact the dealer for more information. * How to protect your purchase? CARFAX BuyBack Guarantee got you covered. Do so much more with one vehicle. This Mercedes-Benz GLA gives you everything you need an automobile to be. 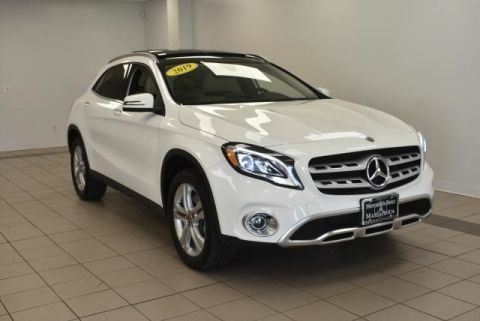 Outstanding fuel economy and sleek styling are two great reasons to consider this Mercedes-Benz GLA. Enjoy the grip and control of AWD performance in this nicely equipped Mercedes-Benz GLA. An extra bonus with this Mercedes-Benz GLA: it's still covered by the manufacturer's warranty. Payments based on maximum finance term available and Tier 1 credit approval. 20% Cash or trade down. Tax,DMV additional. Contact Mercedes Benz of Massapequa today for information on dozens of vehicles like this 2019 Mercedes-Benz CLA CLA 250. This Mercedes-Benz includes: REAR SPOILER (PIO) Rear Spoiler PANORAMA SUNROOF Panoramic Roof Generic Sun/Moonroof Sun/Moonroof Dual Moonroof CONVENIENCE PACKAGE Auto-Dimming Rearview Mirror Universal Garage Door Opener 12-COLOR INTERIOR AMBIENT LIGHTING SMARTPHONE INTEGRATION Smart Device Integration PREMIUM PACKAGE Keyless Start HD Radio Hands-Free Liftgate Heated Front Seat(s) Satellite Radio Power Door Locks Keyless Entry Blind Spot Monitor Remote Trunk Release *Note - For third party subscriptions or services, please contact the dealer for more information. * When you purchase a vehicle with the CARFAX Buyback Guarantee, you're getting what you paid for. 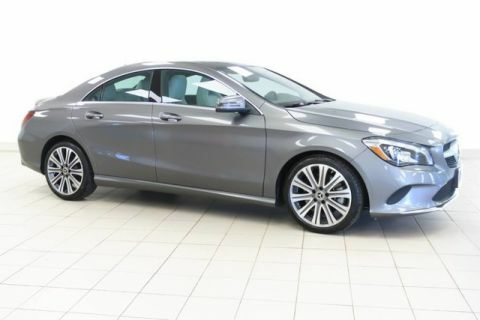 Take home this 2019 Mercedes-Benz CLA and enjoy the safety and added performance of AWD. A vehicle as well-maintained as this Mercedes-Benz CLA almost doesn't need a warranty, but you rest easier knowing it comes covered with the Mercedes-Benz factory warranty. Payments based on maximum finance term available and Tier 1 credit approval. 20% Cash or trade down. Tax,DMV additional.Contact Mercedes Benz of Massapequa today for information on dozens of vehicles like this 2019 Mercedes-Benz CLA CLA 250. This Mercedes-Benz includes: REAR SPOILER (PIO) Rear Spoiler PANORAMA SUNROOF Panoramic Roof Generic Sun/Moonroof Sun/Moonroof Dual Moonroof CONVENIENCE PACKAGE Auto-Dimming Rearview Mirror Universal Garage Door Opener 12-COLOR INTERIOR AMBIENT LIGHTING SMARTPHONE INTEGRATION Smart Device Integration PREMIUM PACKAGE Keyless Start HD Radio Hands-Free Liftgate Heated Front Seat(s) Satellite Radio Power Door Locks Keyless Entry Blind Spot Monitor Remote Trunk Release *Note - For third party subscriptions or services, please contact the dealer for more information. * When you purchase a vehicle with the CARFAX Buyback Guarantee, you're getting what you paid for. 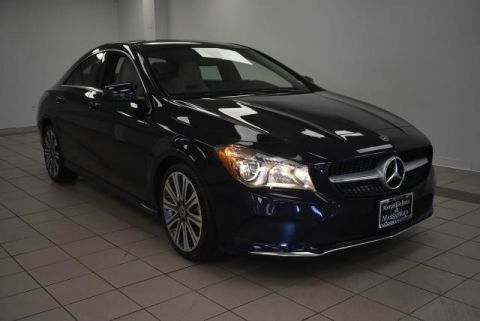 Take home this 2019 Mercedes-Benz CLA and enjoy the safety and added performance of AWD. A vehicle as well-maintained as this Mercedes-Benz CLA almost doesn't need a warranty, but you rest easier knowing it comes covered with the Mercedes-Benz factory warranty. Payments based on maximum finance term available and Tier 1 credit approval. 20% Cash or trade down. Tax,DMV additional. This 2019 Mercedes-Benz CLA CLA 250 is proudly offered by Mercedes Benz of Massapequa This Mercedes-Benz includes: REAR SPOILER (PIO) Rear Spoiler PANORAMA SUNROOF Panoramic Roof Generic Sun/Moonroof Sun/Moonroof Dual Moonroof CONVENIENCE PACKAGE Auto-Dimming Rearview Mirror Universal Garage Door Opener SMARTPHONE INTEGRATION Smart Device Integration LED HEADLAMPS Daytime Running Lights Headlights-Auto-Leveling PREMIUM PACKAGE Keyless Start HD Radio Hands-Free Liftgate Heated Front Seat(s) Satellite Radio Power Door Locks Keyless Entry Blind Spot Monitor Remote Trunk Release *Note - For third party subscriptions or services, please contact the dealer for more information. * When you purchase a vehicle with the CARFAX Buyback Guarantee, you're getting what you paid for. Savor the satisfaction of safety in any condition with this AWD Mercedes-Benz CLA. Superior acceleration, unmatched traction and stability as well as a luxurious interior round out the impressive features of this AWD Mercedes-Benz CLA. A vehicle as well-maintained as this Mercedes-Benz CLA almost doesn't need a warranty, but you rest easier knowing it comes covered with the Mercedes-Benz factory warranty. Payments based on maximum finance term available and Tier 1 credit approval. 20% Cash or trade down. Tax,DMV additional.This 2019 Mercedes-Benz CLA CLA 250 is proudly offered by Mercedes Benz of Massapequa This Mercedes-Benz includes: REAR SPOILER (PIO) Rear Spoiler PANORAMA SUNROOF Panoramic Roof Generic Sun/Moonroof Sun/Moonroof Dual Moonroof CONVENIENCE PACKAGE Auto-Dimming Rearview Mirror Universal Garage Door Opener SMARTPHONE INTEGRATION Smart Device Integration LED HEADLAMPS Daytime Running Lights Headlights-Auto-Leveling PREMIUM PACKAGE Keyless Start HD Radio Hands-Free Liftgate Heated Front Seat(s) Satellite Radio Power Door Locks Keyless Entry Blind Spot Monitor Remote Trunk Release *Note - For third party subscriptions or services, please contact the dealer for more information. * When you purchase a vehicle with the CARFAX Buyback Guarantee, you're getting what you paid for. Savor the satisfaction of safety in any condition with this AWD Mercedes-Benz CLA. Superior acceleration, unmatched traction and stability as well as a luxurious interior round out the impressive features of this AWD Mercedes-Benz CLA. A vehicle as well-maintained as this Mercedes-Benz CLA almost doesn't need a warranty, but you rest easier knowing it comes covered with the Mercedes-Benz factory warranty. Payments based on maximum finance term available and Tier 1 credit approval. 20% Cash or trade down. Tax,DMV additional. This 2019 Mercedes-Benz GLA GLA 250 is proudly offered by Mercedes Benz of Massapequa This Mercedes-Benz includes: PREMIUM PACKAGE Keyless Start HD Radio Hands-Free Liftgate Heated Front Seat(s) Satellite Radio Power Door Locks Keyless Entry Blind Spot Monitor Remote Trunk Release SMARTPHONE INTEGRATION Smart Device Integration CONVENIENCE PACKAGE Auto-Dimming Rearview Mirror Universal Garage Door Opener ILLUMINATED STAR (DIO) RADIO: HARMAN/KARDON PREMIUM SOUND SYSTEM Premium Sound System FULL LED HEADLAMPS Daytime Running Lights PANORAMA SUNROOF Generic Sun/Moonroof Sun/Moonroof Dual Moonroof *Note - For third party subscriptions or services, please contact the dealer for more information. * Your buying risks are reduced thanks to a CARFAX BuyBack Guarantee. Treat yourself to an SUV that surrounds you with all the comfort and conveniences of a luxury sedan. This 2019 Mercedes-Benz GLA has great acceleration and wonderful styling without sacrificing exceptional fuel economy. Take home this 2019 Mercedes-Benz GLA and enjoy the safety and added performance of AWD. This finely crafted vehicle is engineered to last. But just in case it doesn't, you can take comfort knowing it comes with a manufacturer's warranty. Payments based on maximum finance term available and Tier 1 credit approval. 20% Cash or trade down. Tax,DMV additional.This 2019 Mercedes-Benz GLA GLA 250 is proudly offered by Mercedes Benz of Massapequa This Mercedes-Benz includes: PREMIUM PACKAGE Keyless Start HD Radio Hands-Free Liftgate Heated Front Seat(s) Satellite Radio Power Door Locks Keyless Entry Blind Spot Monitor Remote Trunk Release SMARTPHONE INTEGRATION Smart Device Integration CONVENIENCE PACKAGE Auto-Dimming Rearview Mirror Universal Garage Door Opener ILLUMINATED STAR (DIO) RADIO: HARMAN/KARDON PREMIUM SOUND SYSTEM Premium Sound System FULL LED HEADLAMPS Daytime Running Lights PANORAMA SUNROOF Generic Sun/Moonroof Sun/Moonroof Dual Moonroof *Note - For third party subscriptions or services, please contact the dealer for more information. * Your buying risks are reduced thanks to a CARFAX BuyBack Guarantee. Treat yourself to an SUV that surrounds you with all the comfort and conveniences of a luxury sedan. This 2019 Mercedes-Benz GLA has great acceleration and wonderful styling without sacrificing exceptional fuel economy. Take home this 2019 Mercedes-Benz GLA and enjoy the safety and added performance of AWD. This finely crafted vehicle is engineered to last. But just in case it doesn't, you can take comfort knowing it comes with a manufacturer's warranty. Payments based on maximum finance term available and Tier 1 credit approval. 20% Cash or trade down. Tax,DMV additional. This 2019 Mercedes-Benz E-Class E 450 is proudly offered by Mercedes Benz of Massapequa This Mercedes-Benz includes: AMG® LINE EXTERIOR Chrome Wheels Aluminum Wheels 4-Wheel Disc Brakes Steel Wheels Front Disc/Rear Drum Brakes PREMIUM PACKAGE Keyless Start HD Radio Split Bench Seat Hands-Free Liftgate Heated Front Seat(s) Satellite Radio Power Door Locks Keyless Entry Fixed Bench Seat Blind Spot Monitor Premium Sound System Power Liftgate Remote Trunk Release Bucket Seats PRE-WIRING FOR RR SEAT ENT BLIND SPOT ASSIST Blind Spot Monitor COMFORT BOX (PIO) BURMESTER SURROUND SOUND SYSTEM Premium Sound System BODY COLOR REAR DECK SPOILER (PIO) Rear Spoiler PANORAMA ROOF Panoramic Roof Generic Sun/Moonroof Sun/Moonroof Dual Moonroof *Note - For third party subscriptions or services, please contact the dealer for more information. * CARFAX BuyBack Guarantee is reassurance that any major issues with this vehicle will show on CARFAX report. Put performance, safety, beauty, sophistication and all the right amenities into a car, and here it is! Now you can own luxury without the luxury price tag! Hit the gas pedal and put the engine power to all four wheels. With AWD, you'll have the greater performance right off the line, everytime you drive. A vehicle as well-maintained as this Mercedes-Benz E-Class almost doesn't need a warranty, but you rest easier knowing it comes covered with the Mercedes-Benz factory warranty. This wonderfully appointed vehicle comes equipped with the options and features every driver craves. Put away your phone and focus on the road, your new vehicle has navigation. Payments based on maximum finance term available and Tier 1 credit approval. 20% Cash or trade down. Tax,DMV additional.This 2019 Mercedes-Benz E-Class E 450 is proudly offered by Mercedes Benz of Massapequa This Mercedes-Benz includes: AMG® LINE EXTERIOR Chrome Wheels Aluminum Wheels 4-Wheel Disc Brakes Steel Wheels Front Disc/Rear Drum Brakes PREMIUM PACKAGE Keyless Start HD Radio Split Bench Seat Hands-Free Liftgate Heated Front Seat(s) Satellite Radio Power Door Locks Keyless Entry Fixed Bench Seat Blind Spot Monitor Premium Sound System Power Liftgate Remote Trunk Release Bucket Seats PRE-WIRING FOR RR SEAT ENT BLIND SPOT ASSIST Blind Spot Monitor COMFORT BOX (PIO) BURMESTER SURROUND SOUND SYSTEM Premium Sound System BODY COLOR REAR DECK SPOILER (PIO) Rear Spoiler PANORAMA ROOF Panoramic Roof Generic Sun/Moonroof Sun/Moonroof Dual Moonroof *Note - For third party subscriptions or services, please contact the dealer for more information. * CARFAX BuyBack Guarantee is reassurance that any major issues with this vehicle will show on CARFAX report. Put performance, safety, beauty, sophistication and all the right amenities into a car, and here it is! Now you can own luxury without the luxury price tag! Hit the gas pedal and put the engine power to all four wheels. With AWD, you'll have the greater performance right off the line, everytime you drive. A vehicle as well-maintained as this Mercedes-Benz E-Class almost doesn't need a warranty, but you rest easier knowing it comes covered with the Mercedes-Benz factory warranty. This wonderfully appointed vehicle comes equipped with the options and features every driver craves. Put away your phone and focus on the road, your new vehicle has navigation. Payments based on maximum finance term available and Tier 1 credit approval. 20% Cash or trade down. Tax,DMV additional. This 2019 Mercedes-Benz E-Class E 450 is proudly offered by Mercedes Benz of Massapequa This Mercedes-Benz includes: NIGHT PACKAGE ENERGIZING COMFORT PACKAGE EXTERIOR LIGHTING PACKAGE Automatic Headlights Daytime Running Lights Headlights-Auto-Leveling WHEELS: 19 AMG® TWIN 5-SPOKE W/BLACK ACCENTS Tires - Front Performance Aluminum Wheels Tires - Rear Performance AMG® LINE PACKAGE Floor Mats PARKING ASSISTANCE PACKAGE Automatic Parking Back-Up Camera HEATED & ACTIVE VENTILATED FRONT SEATS Cooled Front Seat(s) Heated Front Seat(s) BLIND SPOT ASSIST Blind Spot Monitor PREMIUM 1 PACKAGE Keyless Start HD Radio Hands-Free Liftgate Satellite Radio Power Door Locks Keyless Entry Power Liftgate Remote Trunk Release BURMESTER SURROUND SOUND SYSTEM Premium Sound System *Note - For third party subscriptions or services, please contact the dealer for more information. * When you purchase a vehicle with the CARFAX Buyback Guarantee, you're getting what you paid for. Outstanding craftsmanship and artisanal refinements abound with this Mercedes-Benz E-Class E 450. All-wheel drive means peace of mind all the time. 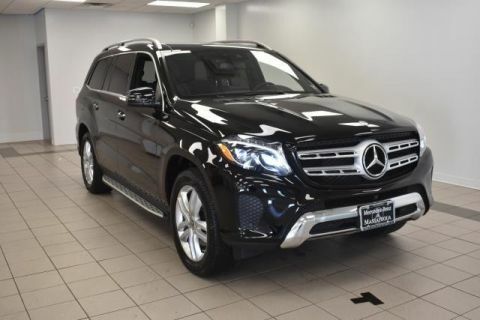 This Selenite Grey Metallic AWD Mercedes-Benz enjoys a host offeatures, including exceptional acceleration and superior stability so you can drive with confidence. Feel pleased in your decision to buy this Mercedes-Benz E-Class as it's still covered under the manufacturer's warranty. There are options that you need, And there are options that you want. This Mercedes-Benz E-Class has them all. 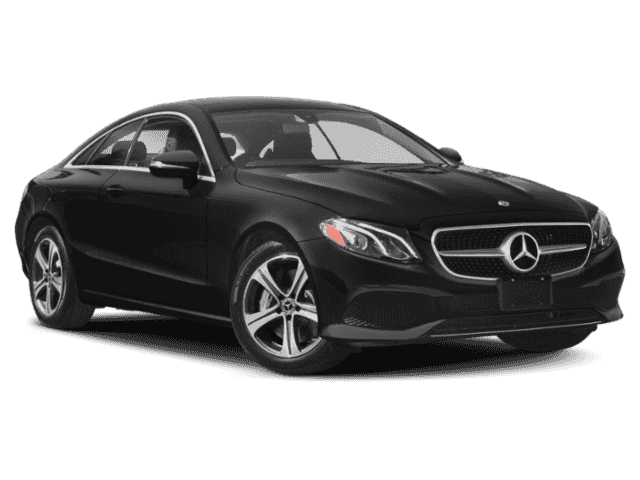 Added comfort with contemporary style is the leather interior to heighten the quality and craftsmanship for the Mercedes-Benz E-Class Drive any city's streets like you've lived there all your life using the navigation system on this Mercedes-Benz E-Class. Payments based on maximum finance term available and Tier 1 credit approval. 20% Cash or trade down. Tax,DMV additional.This 2019 Mercedes-Benz E-Class E 450 is proudly offered by Mercedes Benz of Massapequa This Mercedes-Benz includes: NIGHT PACKAGE ENERGIZING COMFORT PACKAGE EXTERIOR LIGHTING PACKAGE Automatic Headlights Daytime Running Lights Headlights-Auto-Leveling WHEELS: 19 AMG® TWIN 5-SPOKE W/BLACK ACCENTS Tires - Front Performance Aluminum Wheels Tires - Rear Performance AMG® LINE PACKAGE Floor Mats PARKING ASSISTANCE PACKAGE Automatic Parking Back-Up Camera HEATED & ACTIVE VENTILATED FRONT SEATS Cooled Front Seat(s) Heated Front Seat(s) BLIND SPOT ASSIST Blind Spot Monitor PREMIUM 1 PACKAGE Keyless Start HD Radio Hands-Free Liftgate Satellite Radio Power Door Locks Keyless Entry Power Liftgate Remote Trunk Release BURMESTER SURROUND SOUND SYSTEM Premium Sound System *Note - For third party subscriptions or services, please contact the dealer for more information. * When you purchase a vehicle with the CARFAX Buyback Guarantee, you're getting what you paid for. Outstanding craftsmanship and artisanal refinements abound with this Mercedes-Benz E-Class E 450. All-wheel drive means peace of mind all the time. 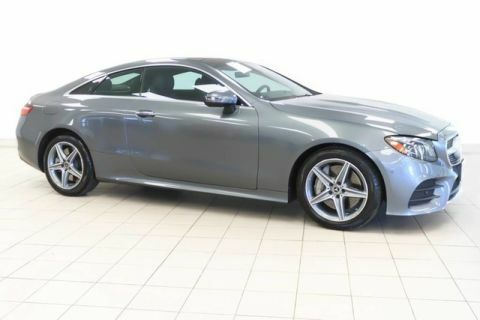 This Selenite Grey Metallic AWD Mercedes-Benz enjoys a host offeatures, including exceptional acceleration and superior stability so you can drive with confidence. Feel pleased in your decision to buy this Mercedes-Benz E-Class as it's still covered under the manufacturer's warranty. There are options that you need, And there are options that you want. This Mercedes-Benz E-Class has them all. 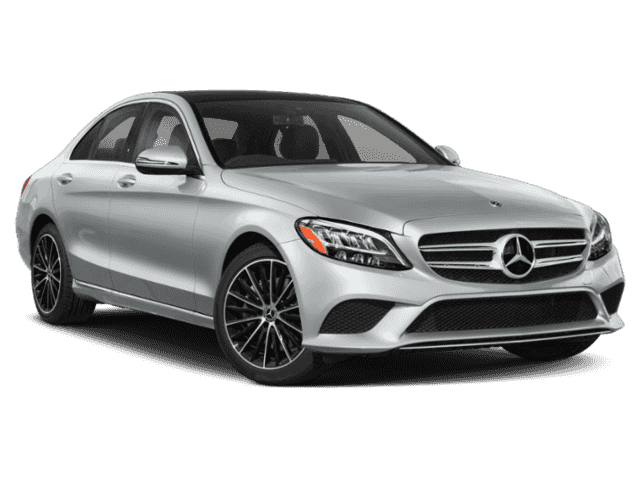 Added comfort with contemporary style is the leather interior to heighten the quality and craftsmanship for the Mercedes-Benz E-Class Drive any city's streets like you've lived there all your life using the navigation system on this Mercedes-Benz E-Class. Payments based on maximum finance term available and Tier 1 credit approval. 20% Cash or trade down. Tax,DMV additional. 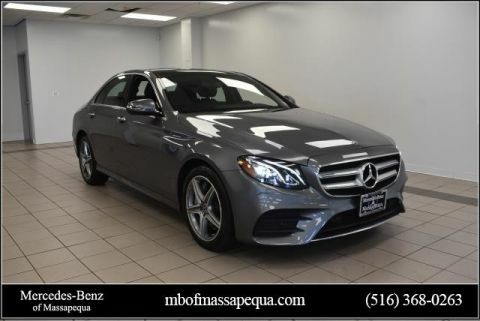 Mercedes Benz of Massapequa is honored to present a wonderful example of pure vehicle design... this 2019 Mercedes-Benz E-Class E 450 only has 6,199mi on it and could potentially be the vehicle of your dreams! This Mercedes-Benz includes: AMG® FLOOR MATS Floor Mats EXTERIOR LIGHTING PACKAGE Automatic Headlights Daytime Running Lights Headlights-Auto-Leveling AMG® LINE PACKAGE Floor Mats PARKING ASSISTANCE PACKAGE Automatic Parking Back-Up Camera REAR DECK SPOILER (PIO) Rear Spoiler ILLUMINATED DOOR SILLS W/MERCEDES-BENZ LETTERING HEATED & ACTIVE VENTILATED FRONT SEATS Cooled Front Seat(s) Heated Front Seat(s) DRIVER ASSISTANCE PACKAGE Brake Assist Adaptive Cruise Control Cruise Control PREMIUM 1 PACKAGE Keyless Start HD Radio Hands-Free Liftgate Satellite Radio Power Door Locks Keyless Entry Power Liftgate Remote Trunk Release BURMESTER SURROUND SOUND SYSTEM Premium Sound System *Note - For third party subscriptions or services, please contact the dealer for more information. * Your buying risks are reduced thanks to a CARFAX BuyBack Guarantee. There's a level of quality and refinement in this Mercedes-Benz E-Class that you won't find in your average vehicle. Once you see this Mercedes-Benz, you'll quickly see that this is the perfect vehicle for the outdoor junky! You'll even feel relaxed knowing that this All-Wheel drive vehicle will get you to where you are going no matter what may come your way. Also, with this Mercedes-Benz E-Class's dependable control you'll be able to drive into the sunset without a care in the world! This Mercedes-Benz E-Class E 450 is covered under the Mercedes-Benz reliable & trusted factory warranty. So, if you're in the market for an incredible vehicle which provides the manufacturer-backed assurance that everyone deserves, then this is the vehicle for you. Intricately stitched leather and ergonomic design seats are among the details in which test drivers say that Mercedes-Benz E-Class is in a league of its own Drive any city's streets like you've lived there all your life using the navigation system on this Mercedes-Benz E-Class. Payments based on maximum finance term available and Tier 1 credit approval. 20% Cash or trade down. Tax,DMV additional.Mercedes Benz of Massapequa is honored to present a wonderful example of pure vehicle design... this 2019 Mercedes-Benz E-Class E 450 only has 6,199mi on it and could potentially be the vehicle of your dreams! This Mercedes-Benz includes: AMG® FLOOR MATS Floor Mats EXTERIOR LIGHTING PACKAGE Automatic Headlights Daytime Running Lights Headlights-Auto-Leveling AMG® LINE PACKAGE Floor Mats PARKING ASSISTANCE PACKAGE Automatic Parking Back-Up Camera REAR DECK SPOILER (PIO) Rear Spoiler ILLUMINATED DOOR SILLS W/MERCEDES-BENZ LETTERING HEATED & ACTIVE VENTILATED FRONT SEATS Cooled Front Seat(s) Heated Front Seat(s) DRIVER ASSISTANCE PACKAGE Brake Assist Adaptive Cruise Control Cruise Control PREMIUM 1 PACKAGE Keyless Start HD Radio Hands-Free Liftgate Satellite Radio Power Door Locks Keyless Entry Power Liftgate Remote Trunk Release BURMESTER SURROUND SOUND SYSTEM Premium Sound System *Note - For third party subscriptions or services, please contact the dealer for more information. * Your buying risks are reduced thanks to a CARFAX BuyBack Guarantee. There's a level of quality and refinement in this Mercedes-Benz E-Class that you won't find in your average vehicle. Once you see this Mercedes-Benz, you'll quickly see that this is the perfect vehicle for the outdoor junky! You'll even feel relaxed knowing that this All-Wheel drive vehicle will get you to where you are going no matter what may come your way. Also, with this Mercedes-Benz E-Class's dependable control you'll be able to drive into the sunset without a care in the world! This Mercedes-Benz E-Class E 450 is covered under the Mercedes-Benz reliable & trusted factory warranty. So, if you're in the market for an incredible vehicle which provides the manufacturer-backed assurance that everyone deserves, then this is the vehicle for you. Intricately stitched leather and ergonomic design seats are among the details in which test drivers say that Mercedes-Benz E-Class is in a league of its own Drive any city's streets like you've lived there all your life using the navigation system on this Mercedes-Benz E-Class. Payments based on maximum finance term available and Tier 1 credit approval. 20% Cash or trade down. Tax,DMV additional. 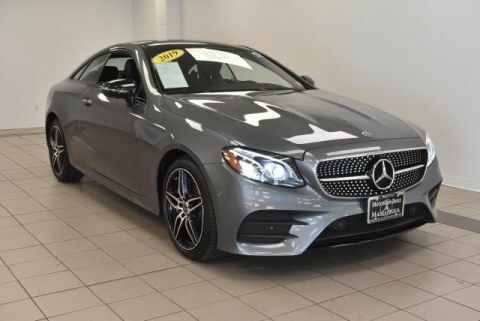 Mercedes Benz of Massapequa is honored to present a wonderful example of pure vehicle design... this 2019 Mercedes-Benz E-Class E 450 only has 4,915mi on it and could potentially be the vehicle of your dreams! This Mercedes-Benz includes: ILLUMINATED STAR EXTERIOR LIGHTING PACKAGE Automatic Headlights Daytime Running Lights Headlights-Auto-Leveling AMG® LINE PACKAGE Floor Mats PARKING ASSISTANCE PACKAGE Automatic Parking Back-Up Camera REAR DECK SPOILER (PIO) Rear Spoiler ILLUMINATED DOOR SILLS W/MERCEDES-BENZ LETTERING HEATED & ACTIVE VENTILATED FRONT SEATS Cooled Front Seat(s) Heated Front Seat(s) BLIND SPOT ASSIST Blind Spot Monitor PREMIUM 1 PACKAGE Keyless Start HD Radio Hands-Free Liftgate Satellite Radio Power Door Locks Keyless Entry Power Liftgate Remote Trunk Release BURMESTER SURROUND SOUND SYSTEM Premium Sound System *Note - For third party subscriptions or services, please contact the dealer for more information. * Opulent refinements married with exceptional engineering make this the kind of car you'll want to own for a lifetime. Navigate through all the icky weather with ease in this AWD-equipped Mercedes-Benz E-Class, and even get non-stop traction for your non-stop lifestyle! In addition to the amazing traction control, you may even qualify for an insurance reduction with this AWD vehicle. Feel pleased in your decision to buy this Mercedes-Benz E-Class as it's still covered under the manufacturer's warranty. Drive any city's streets like you've lived there all your life using the navigation system on this Mercedes-Benz E-Class. Payments based on maximum finance term available and Tier 1 credit approval. 20% Cash or trade down. 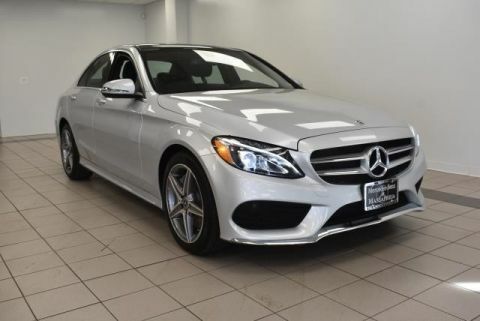 Tax,DMV additional.Mercedes Benz of Massapequa is honored to present a wonderful example of pure vehicle design... this 2019 Mercedes-Benz E-Class E 450 only has 4,915mi on it and could potentially be the vehicle of your dreams! This Mercedes-Benz includes: ILLUMINATED STAR EXTERIOR LIGHTING PACKAGE Automatic Headlights Daytime Running Lights Headlights-Auto-Leveling AMG® LINE PACKAGE Floor Mats PARKING ASSISTANCE PACKAGE Automatic Parking Back-Up Camera REAR DECK SPOILER (PIO) Rear Spoiler ILLUMINATED DOOR SILLS W/MERCEDES-BENZ LETTERING HEATED & ACTIVE VENTILATED FRONT SEATS Cooled Front Seat(s) Heated Front Seat(s) BLIND SPOT ASSIST Blind Spot Monitor PREMIUM 1 PACKAGE Keyless Start HD Radio Hands-Free Liftgate Satellite Radio Power Door Locks Keyless Entry Power Liftgate Remote Trunk Release BURMESTER SURROUND SOUND SYSTEM Premium Sound System *Note - For third party subscriptions or services, please contact the dealer for more information. * Opulent refinements married with exceptional engineering make this the kind of car you'll want to own for a lifetime. Navigate through all the icky weather with ease in this AWD-equipped Mercedes-Benz E-Class, and even get non-stop traction for your non-stop lifestyle! In addition to the amazing traction control, you may even qualify for an insurance reduction with this AWD vehicle. Feel pleased in your decision to buy this Mercedes-Benz E-Class as it's still covered under the manufacturer's warranty. Drive any city's streets like you've lived there all your life using the navigation system on this Mercedes-Benz E-Class. Payments based on maximum finance term available and Tier 1 credit approval. 20% Cash or trade down. Tax,DMV additional.